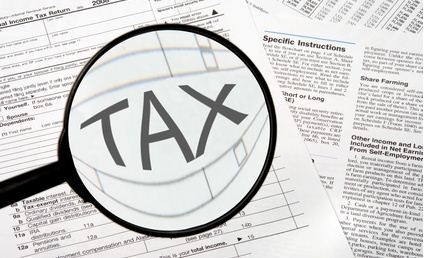 Revised Direct Tax Code - What you should know ! The much-awaited revised discussion paper on the Direct Tax Code (DTC) is set in the public domain by the Manmohan Singh government. The earlier discussion paper on the Direct Tax Code Bill was released in August 2009 to receive public feedback and inputs on the proposals. The revised paper is said to have addressed some of these issues after attracting sharp criticisms from several quarters on various grounds. The new simplified tax code, which is likely to be introduced in Parliament in the forthcoming monsoon session, is expected to raise tax slabs and lift the ceiling for tax-free savings. The new DTC will replace the decades old Income Tax Act. At least, for now, there is some sort of relief from the amended proposal as compared to the previous one that intended to tax the savings at the last stage of withdrawal of the investments as per the Exempt-Exempt-Tax (EET) methodology of taxation. Under the proposal on the capital gains, the government intends to do away with the distinction between the short-term and long-term capital gains in a bid to bring simplicity in the taxation of capital gains. The discussion paper recommends that the capital gains of the tax payer will be added to their total income. Thus, the tax liability of the assessee, on account of income from the sale of capital assets, would be in line with their income slabs. The capital gains will be considered as income from ordinary sources. Now, this move will definitely hinder the long term savings. Currently, investments in stock market assets and equity-oriented mutual funds which are held for more than 1 year are considered as long-term capital assets and are not taxable. Whereas income from short-term investments that are held for less than 12 months from the date of acquiring such assets are taxable at rate of 15%. The phasing-out of distinction between short-term and long-term capital assets may not provide incentive to an investor to hold their equity assets for a longer duration, if their actual investments are yielding capital gains over a shorter period of time frame. They may be tempted to book gains more frequently as and when available and take home the profits that are accruing, irrespective of the time period. The earlier version of DTC code had proposed that the gross rent from house property that has been rented out be computed at a presumptive rate of 6% with reference to the cost of construction or acquisition. The second draft of DTC has done away with this presumptive rate of calculation for the gross rent. It recommends that the gross rent for taxation will be the actual rent received in case of houses that are let out. Deduction on interest payment for the loan taken by individual borrowers for acquiring (or constructing) a house property would continue to enjoy the tax benefit subject to a ceiling of Rs.1.5 lakh (only for one house that is used for residing purpose). A minimum alternate tax (MAT) is the one which is had to be paid by the companies that are enjoying various tax exemptions under different schemes. In the previous draft code, the Centre had proposed levying MAT on the asset base of the company – at the rate of 2% on the value of gross assets for all the non-banking companies. However, due to practical difficulties in calculating the MAT for the loss-making companies as per the older version of the proposal, the revised draft code set out by the government says that the MAT should be calculated on the book profits. Thus, the new proposal would ensure that the loss-making companies do not get away from their legitimate taxation liabilities. The modified directive on the MAT would come as a big relief to capital-intensive sectors such as infrastructure and capital goods among others. The older proposal of calculating MAT on asset base could have translated into effective higher tax rate based on huge asset base for the companies operating in such industries. On public demand, the finance ministry has agreed to abandon its previous proposal on tax retirement benefits under Provident Fund. In the absence of a social security scheme, the new proposal provides for an Exempt-Exempt-Exempt (EEE) method of taxation for the government provident fund, PPF and recognized provident funds. Even pure life insurance products and annuity schemes are approved under tax exempted categories. Thus, the government has proposed not to levy tax on the earnings from investments, made by the people, with intention of saving taxes in long-term saving instruments. However, withdrawals of savings above Rs.3 lakh will be taxed. The modified draft also includes pensions administered by interim Pension Fund and Regulatory and Development Authority (PFRDA), including pensions of government employees who are recruited since January 2004, under the EEE treatment. Though, this measure may act a booster for public savings and income, it may sum up into potential losses in terms of prospective government revenues from taxes that could have been earned during the maturity (or withdrawals) of such savings as per the EET methodology of taxation, proposed during the earlier version of the DTC. The revised tax code has sought to clear the ambiguity regarding the treatment of income earned by foreign institutional investors (FII) from securities transactions will be classified as capital gains and not business income, a step which could increase their tax liability. This modified status of income being classified under the capital gains would also make the FIIs eligible to pay advance tax installments, just like any other corporate. The new code has also succeeded to address the concerns of the foreign firms on the issue of treaty override. The code clarifies that those foreign firms having a part of business operations in India for a certain period could be treated as a resident company liable to tax over here. What’s your view on this updated Direct Tax Code proposal? Western & Southern India better on Well Being & Female Security Index ! Only 4% Indians Paid Tax Last Year; 13 Surprising Details Taxes Paid By Indians! How much an individual should be taxed? The directive principle of taxtion say on the basis of “ability to pay tax”. Salary is just one parameter of calculation of ability. Higher salary does’nt always means higher ability. Let me put this with an example. An individual earning Rs 40,000 per month with no dependents may have higher ability compared to another individual earning Rs 50,000 per month if he has 3 or 4 or more dependents. At a gross level there should be some standard deductions (to derive the taxable income) on the basis of number of dependents. Rs 40,000 to 50,000 of standard deduction per dependent shall be considered for arriving at the net taxable income. The present exemption of Rs 800 per month or Rs 36000 per year is in force for past many years. The prices of fuel, insurance, maintenance have raised over past years. Cities have become bigger and hence the travel distance is increased. This should reflect in the exemtions limit. The exemptions limits need to be revisited. I suggest doubling the limit. Thats a Nice suggestion Sudhir… The number of dependents should also be factored in while accounting for the net taxable income. and more money more tax rule percentage should be increase by 5% for every change not 10%. How much is my ideas please give comments on [email protected] and sent to GOI, Ministry of Finance. AT THE TIME OF INVESTMENT AND ALSO AT THE TIME OF WITHDRAWAL. Salaried section is saving their salaried income sacrificing their immediate needs with the only one good intention to secure their future, despite the high inflation that is prevailing at the time of saving the amount. The concern is only old age. Now a days more and more old age homes are coming up. Sons and daughters feel their old age parents are burden. Every Senior Citizen of this country should feel secured for which the Government should exempt the savings from their salaried income during their heydays and also exempt the withdrawal of their savings from INCOME TAX. 1. THE ENTIRE AMOUNT SAVED FROM THE INCOME FOR A PERIOD OF 5 YEARS AND ABOVE SHOULD BE EXEMPTED FROM INCOME TAX AT THE TIME OF SAVINGS AND ALSO AT THE TIME OF WITHDRAWAL OF THE SAVINGS. 2. THE ENTIRE AMOUNT PAID BY THE EMPLOYER TOWARDS THE SUPERANNUATION PENSION FUND SHOULD NOT BE TREATED AS PERKS AND THE EMPLOYEES SHOULD NOT BE TAXED. 3. All RETIREMENT BENEFITS SHOULD BE EXEMPTED FROM TAX. 4. INTEREST ON BANK DEPOSITS SHOULD BE EXEMPTED FROM INCOME-TAX FOR SENIOR CITIZENS. 5. THE GOVERNMENT SHOULD EVOLVE AN HEALTH INSURANCE SCHEME TO THE SENIOR CITIZENS. A MINIMUM ANNUAL PREMIUM DURING THE DAYS OF THEIR EMPLOYMENT SHOULD BE COLLECTED AND TAX EXEMPTION SHOULD BE GIVEN TO THIS PREMIUM PAID. SENIOR CITIZENS SHOULD BE PROVIDED THE BEST MEDICAL FACILITIES. MANY INSURANCE COMPANIES FIND SOME REASONS OR OTHER TO NOT ISSUE MEDICLAIM POLICY TO SENIOR CITIZENS. 6. INFLATION IS A GREAT CONCERN TO ALL. ANNUAL INCOME TAX EXEMPTION SHOULD HAVE RELEVANCE TO INFLATION. I HOPE THE ABOVE SUGGESTIONS MAY BE FAVOURABLY CONSIDERED DURING THE FINALISATION OF THE DIRECT TAX CODE. The new tax slabs are good for salaried people of all income groups. However, I have two observations : (1) Presently, only Rs 800/- pm as transport allowance is exempted , but I feel it should be completely exempted from tax . (2) Those staying in their own house cannot show a rent receipt if they are honest, therfore to prevent employees from producing fake receipts , the rent paid by the organization to Estate Office, as per entitlement, should be exempted from income tax. This would also encourage people to stay in their own houses. Come on. An income of 1,60,000 per anum or 13,333 per month is not poor. Poor are left off from tax net. More over even if you consider a person earning more than 13,333 per month as poor, those “so called poor” can claim tax exemptions upto even higher level for investing in saving schemes, policies etc. Even after that people will adjust their incomes to get below tax ranges (like spreading income in the name of family members etc) . I feel the tax slab rates of 10%, 20%, 30% are IMHO a good excersize. However considering inflation etc, we should gradually increase range. irrespective of individual, business, commercial or agricultural (which is a controvercial issue) income. Govt should bring inflation to 0% and freeze tax slab rates and ranges for ever. like if we lookat the changes made in the tax slab rates , it is exempt up to Rs. 160000 and from 160000 – 1000000 tax rate chargeable would 10% , that is really not done how is it benefiting the country when rich and poor both are paying the tax at the same rate ??? There seems to be a lot of confusion over the capital gains in the revised DTC. Earlier the capital gains arising from stocks_share, was exempted from taxation, in case the CG are invested in the real estate. What is the provision in the new revised DTC? I think the tax code distinguishes between capital and income. The longer you hold your stock the less your income tax will be on your profits. I think to remember that if you hold for 2 years or longer you pay no tax on capital gains. I think there is a phased tax rate depending on the number of years you hold the stock…longer the stock held, lower the tax rate. I did not read the code comprehensively yet, but this phased tax rate is something I remember. Did you come across anything like that?